A new favorite rooftop bar for us. 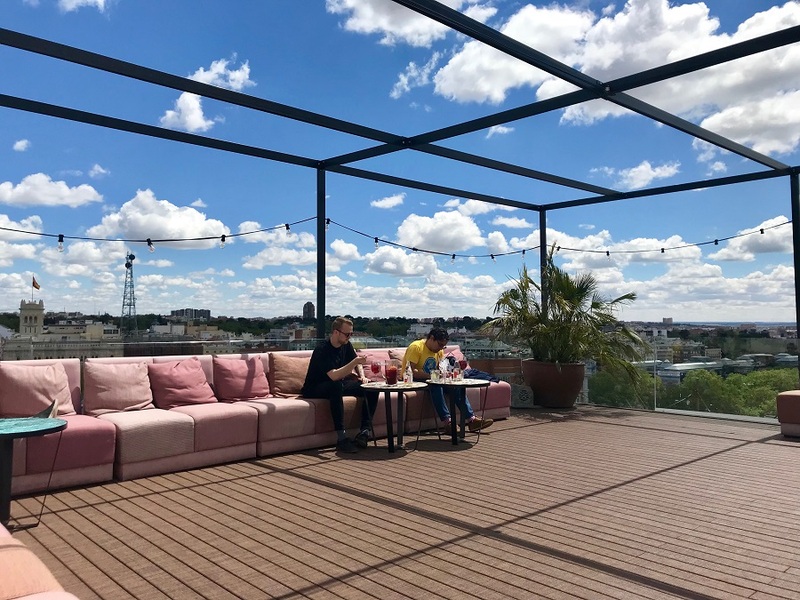 Perfect for relaxed rooftop hangout! 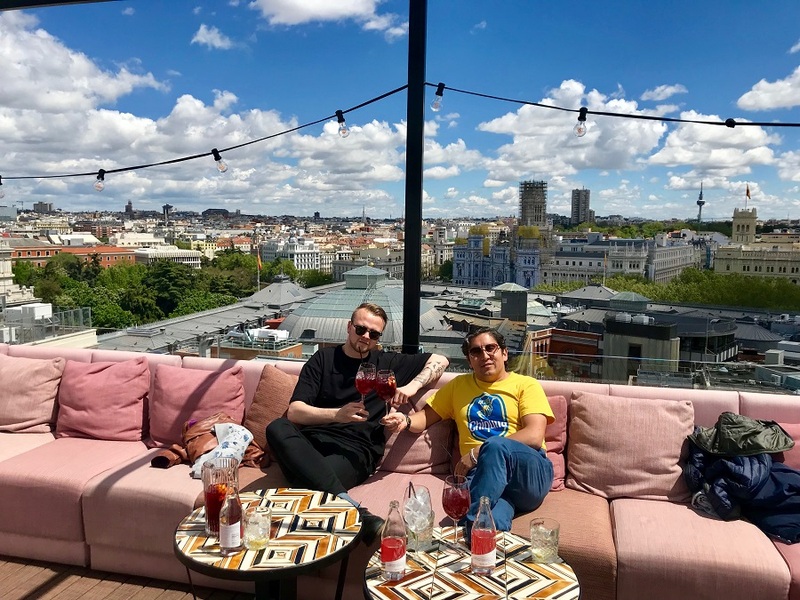 Casa Suecia is a rooftop bar located at Hotel NH Collection Madrid Suecia. 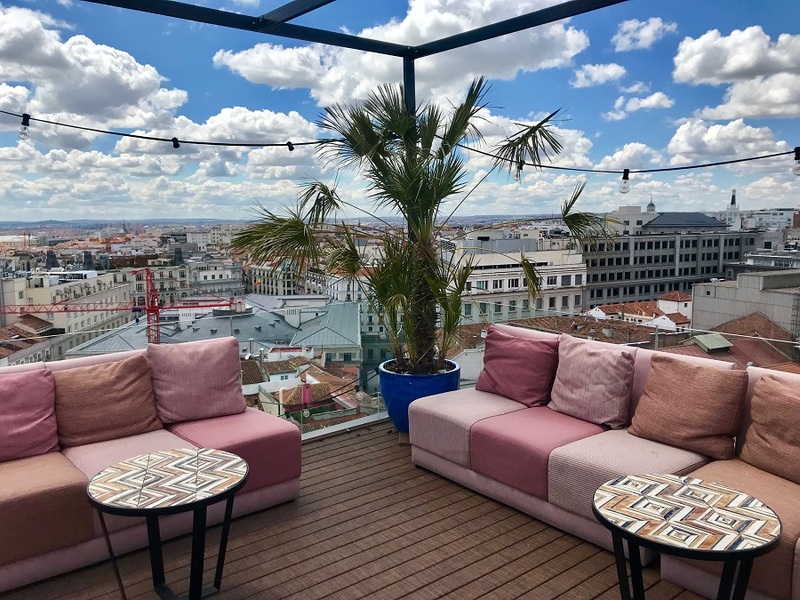 NH Hotels are famous in Madrid for their many rooftop bars. 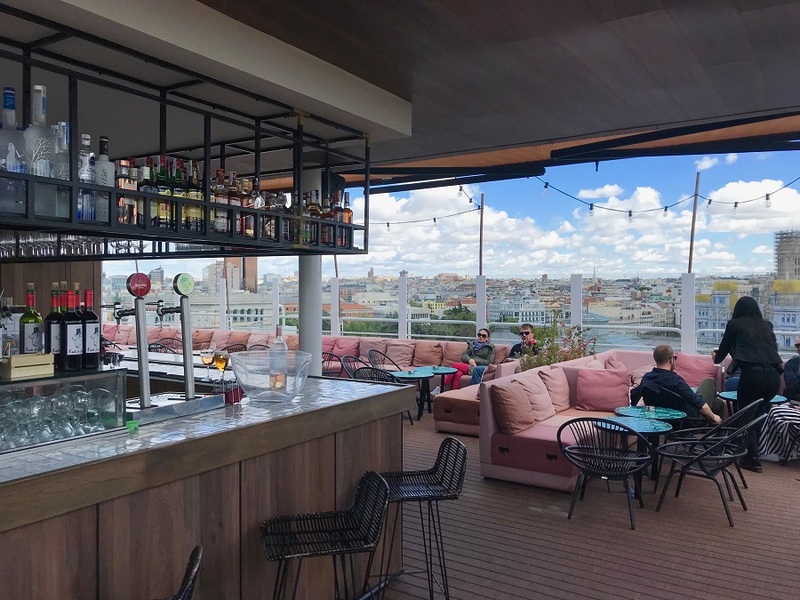 They now have 4 of the best rooftop bars in the city located at their hotels. 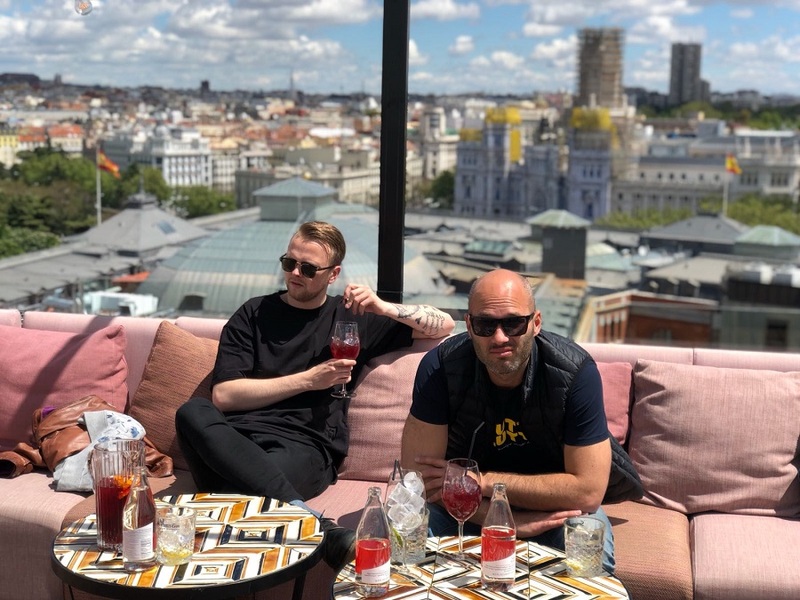 We visited Casa Suecia during lunch time for some Sangria. And we really love the name of this place, considering the country we’re from. When stepping out of the elevator on the 11th floor you’ll find a big bar surrounded by big sofas and to settle down in. 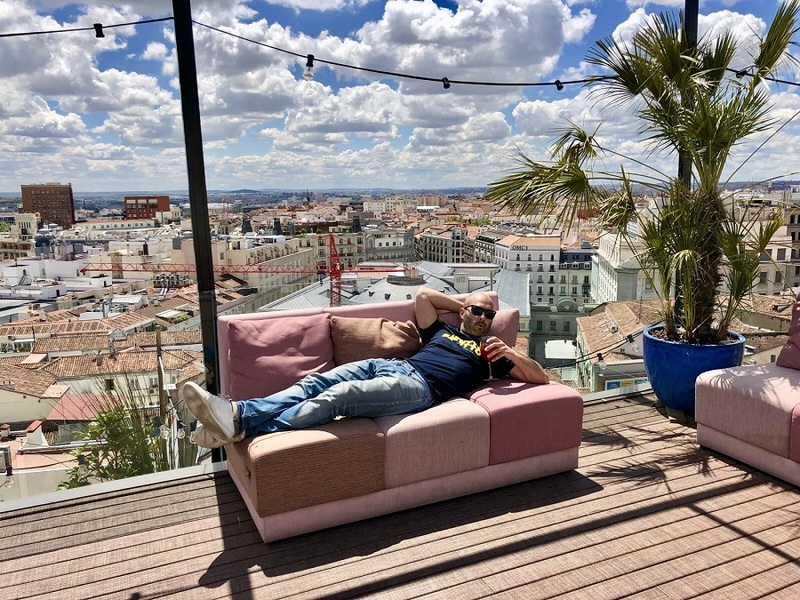 But we also spotted a “secret” stair up one floor to another terrace with premium views over the rooftops of Madrid. 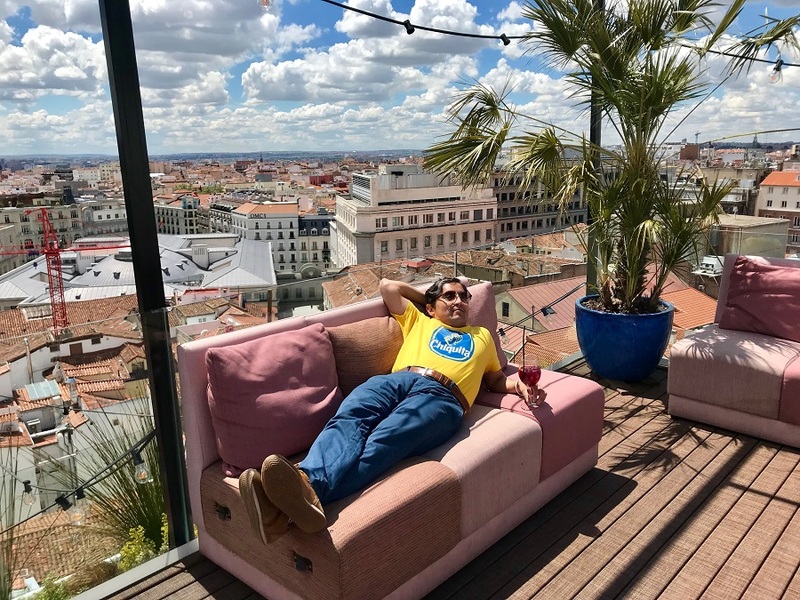 If you visit Casa Suecia, don’t miss the stairs. 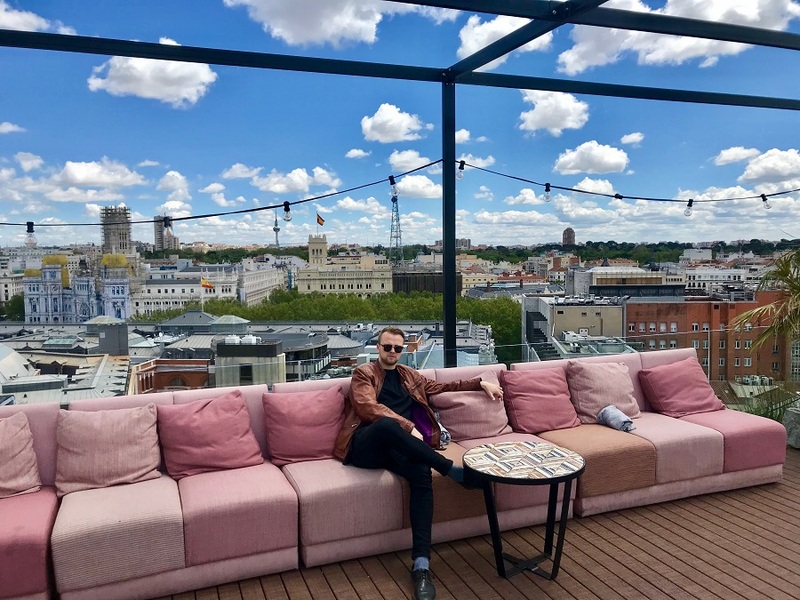 Up here you’ll find a terrace with sofas all along the edge and some tables to place your drinks at. The atmosphere during day time is very relaxed and harmonious. And during evening and night the vibe gets a little bit more lively and party friendly. A superb “loungy” feeling surrounds the whole rooftop. Much thanks to the comfy sofas and nice music. We arrived just when the place opened up, and at first it took a long time before we received any help to order drinks. But after a while we got a big carafe of Sangria with 4 glasses filled with ice. And I must say, this was probably the best Sangria I’ve ever tasted. Magnificent and refreshing. Wow! A must try when visiting Casa Suecia. Unfortunately, we didn’t have time to try any other drinks, but we’re quite sure that all drinks here are made to perfection. 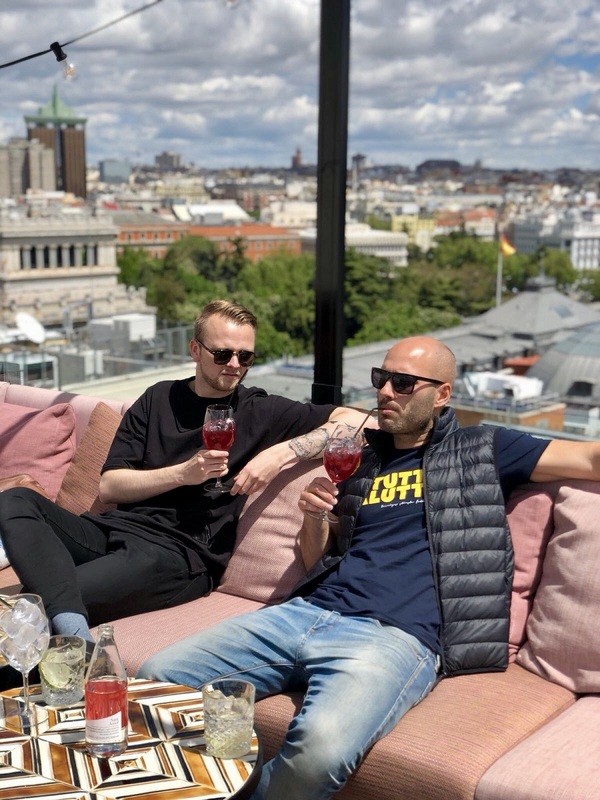 Spain is very famous for it’s big drinks and this place is no exception. In other words – well spent money on drinks. As mentioned before, a new favorite rooftop bar for us. 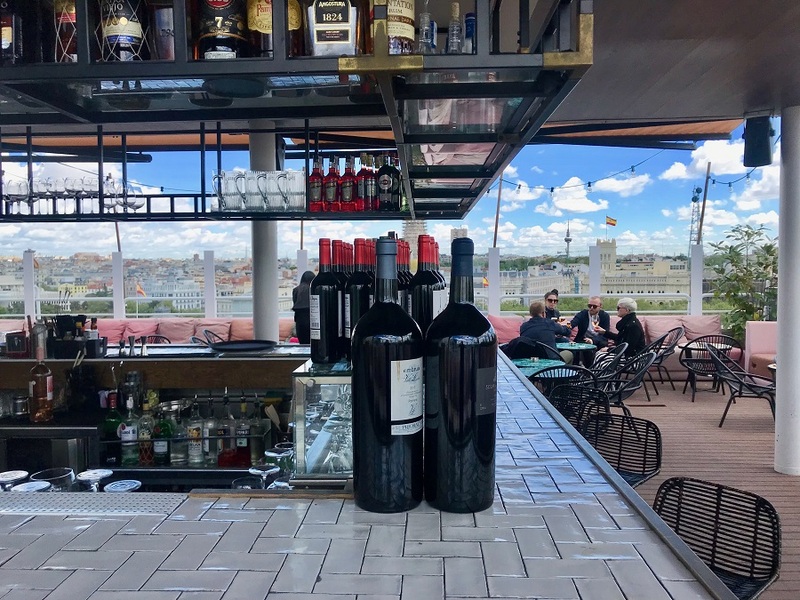 We love the relaxed and lounge rooftop bars where drinks are top notch. 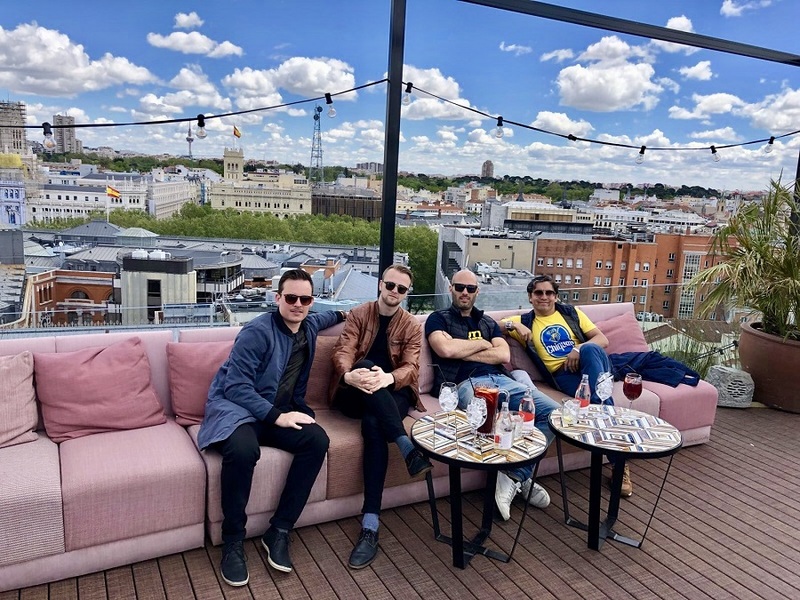 And Casa Suecia is one of these kinds of rooftops. 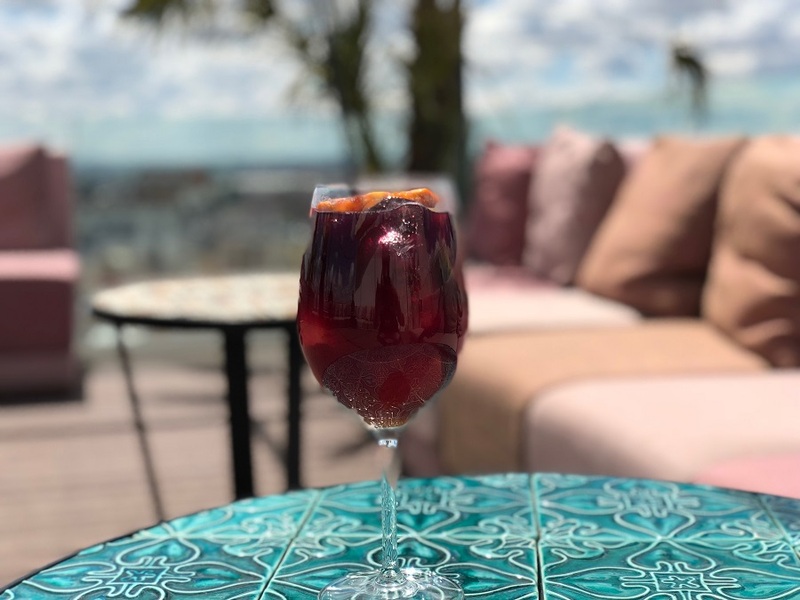 Two insider tips from us: Order Sangria and check out the terrace one floor up from the roof bar.